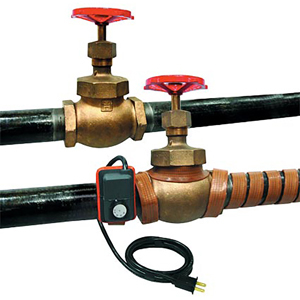 HTWAT Series silicone rubber heat tapes for pipes with thermostat control are designed for process temperature control, freeze protection, and supplemental heat. Applications include valves, pipe lines, bearings, filter housings, actuators and more. Wrap the flexible heating tape around the desired object you want to heat, set the temperature, and it will maintain heat at the set temperature.